Extended simulator of survival in the open world (sandbox), maintained in western convention and characterized by a high level of realism. Up to 150 people can take part in the game at the same time. Virtual Basement (co-creators of ARK: Survival Evolved) is responsible for the creation of this production. Its publisher is Wandering Wizard. 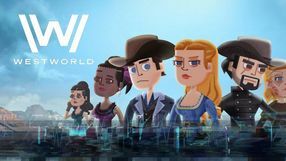 A Wild-West-themed MMO game by 612 Games, inspired by the multiplayer mode of the popular Red Dead Redemption by Rockstar Games. 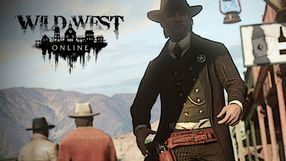 Wild West Online is set in a vast open world, where you try to survive and try your hand at various activities. You can play as bandits or law officers; the players can create gangs and rob banks and steal from or kill encountered people. But you can also choose a different career and become e.g. a farmer or a gold prospector. It's worth noting that each such profession has its influence on the in-game world, affecting, among other things, the economy. This Wild West life simulation game also features an expansive crafting system, and you can unlock schematics allowing you to create tools or weapons. 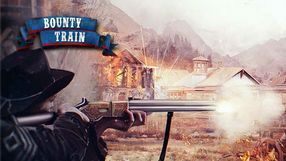 Bounty Train is an economic strategy developed by a small Canadian studio Corbie Games. 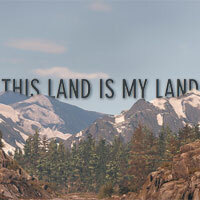 The game takes place in USA during the second part of the 19th century. We play as a soon-to-be railroad magnate and our job is to accomplish the tasks we are given that focus on transporting cargo. We begin by piecing our train together and hiring employees: from train drivers controlling our engine to gunmen who will guard our precious cargo from robbers. Hiring the right people for the job is crucial because each and every one of them has different, more or less useful skills. As our business grows, we will invest the money we made in better train engines, more modern carriages, other equipment, and coal - our train's fuel. The game also features a nonlinear plot that focuses on finding the lost family and trying to save a group of native Americans from relocation. Two-dimensional action game with a turn-based combat system, the action of which was set in the Wild West, in a world inhabited by hominoidal insects. Players take on the role of a rewards hunter looking for revenge, hunting for members of an extremely dangerous gang. 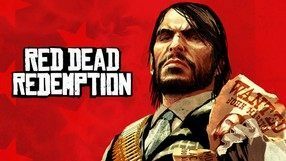 Released in retail distribution, Red Dead Redemption: Undead Nightmare is a standalone bundle of expansion packs to a best-selling action game Red Dead Redemption. 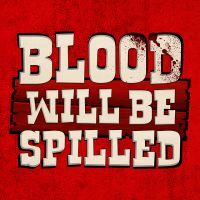 As the title suggests, it combines the distinctive Western setting with the evergreen theme of zombie apocalypse. 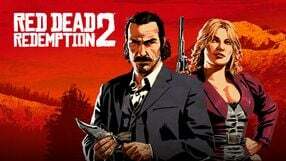 As the protagonist of the base game, John Marston, you travel across the Wild West in search of the cure for a fast-spreading zombie infestation. The story campaign offers a series of new missions and varied side quests. While completing the new tasks, you get to use a new type of shotgun: Blunderbuss. 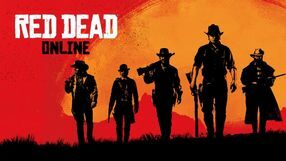 Apart from the main feature, which is Undead Nightmare Pack, released previously as a separate expansion, the bundle includes three smaller DLCs that introduce new co-op missions, maps and playable characters for multiplayer, extra weapons, gang hideouts, hunting zones, as well as several mini-games and new online modes. An action-platform game developed by independent Swedish studio Image & Form. 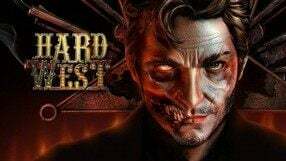 The game takes place in an unusual universe that combines the traits of steampunk and Wild West settings. Once human civilization had fallen and the Homo sapiens was reduced to cave-dwelling troglodytes, weird creatures that are mostly robots became the new dominant species. One of them is the main protagonist of the game, Rusty. While looking for remains of human civilization, he starts a journey deep into the ground, where he looks for interesting treasures. During the game the player is traveling through caves, avoiding traps, fighting enemies, collecting minerals and making sure to always have access to light. The protagonist can use various useful tools that enable him to decide in which direction should the tunnel be dug. After filling the backpack we return to the surface and trade the minerals we've found for various goods and upgrades for the protagonist. A stealth game set in a spaghetti western setting, developed by Honig studio. It takes place in an alternative version of The Wild West, based on Sergio Leone’s movies. 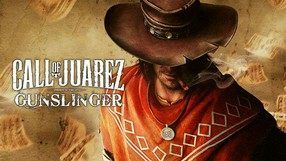 The protagonist – the titular El Hijo – looks for his missing father, traversing places filled with dangers: from an orphanage he was raised in, through a desert full of monster, and up to a town ruled by merciless gunslingers. Due to the fact that the boy has no chance of defeating any of those threats, the gameplay is based on hiding behind objects and sneaking behind opponents’ backs. El Hijo’s interface helps with that, constantly showing the enemy range and field of sight. There is also a wide variety of items and gadgets to use. 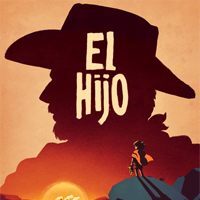 El Hijo uses characteristic, good-looking visuals based on cartoon style, with simple shapes and contrasts. The next installment of the adventure game 3 Skulls of the Toltecs. Fenimore Fillmore. This time the title cowboy sets off to help poor farmers. Nice, stylized graphics and humorous action, makes this title interesting for every adventurous fan. "Darkwatch : Curse Of The West" is an action game genre shown from a first person perspective (FPP). The action of this position was placed in the scenery of the Wild West, terribly popular recently among game creators. This position is being created in the buildings of Sammy Studios company, which has, among others, a series of "Guilty Gear" battles. 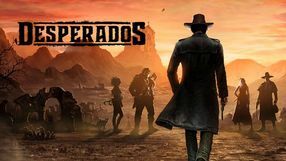 An open-world action game developed by Ostrich Banditos. The project originated as a free-to-play browser game, and was later expanded to a full-fledged commercial release. 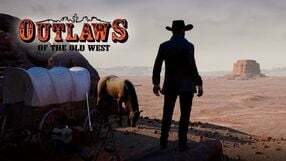 The action of the game takes place in the Wild West, with the plot inspired by the elements often found in the Spaghetti Western genre. We assume the role of a veteran gunslinger whose family had been murdered by an unknown assailant. The protagonist embarks on a journey to find and kill the culprit. The players are free to travel a large world, search for clues or information, or to interrogate encountered characters. These actions allow us to cross out some of the suspects, finally leading the player to the real murderer, whose identity changes with each new playthrough. Our decisions have a certain influence on the world, and some of them can lead to very serious repercussions. The action is seen from an isometric perspective, while the game itself maintains an old-school, pixel-heavy feel. 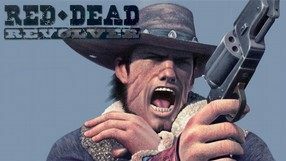 Inspired by the console hit Red Dead Redemption, the third-player action game set in the Wild West. We play the role of Buck Crosshawa, who has to face not only other revolvers, but also supernatural beings lurking in the wilderness of Arizona.